So comforting is the chocolate chip cookie. I made this recipe 3 days in a row because it's so damn delicious and simple. If you have a Blendtec and their twister jar, the recipe becomes even easier because it grinds things into flours and butters in NO TIME. I throw in almonds and they practically evaporate into almond butter. Amazing. But if you don't have a twister jar / Blendtec blender, have no fear. Any other high speed blender should do the job. 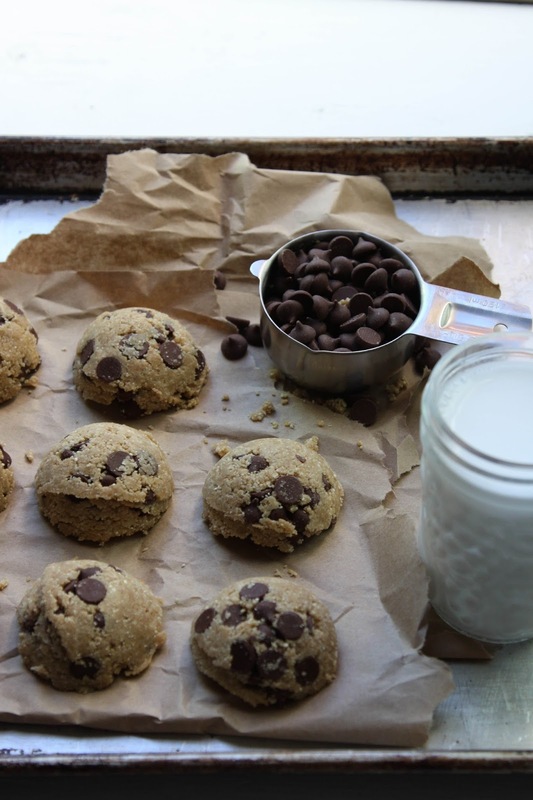 These cookies are perfect with a glass of fresh almond milk. I have a bunch of stuff I must do today so I am keepin' this post short. Enjoy! Grind the quinoa and buckwheat into flour in a high speed blender. 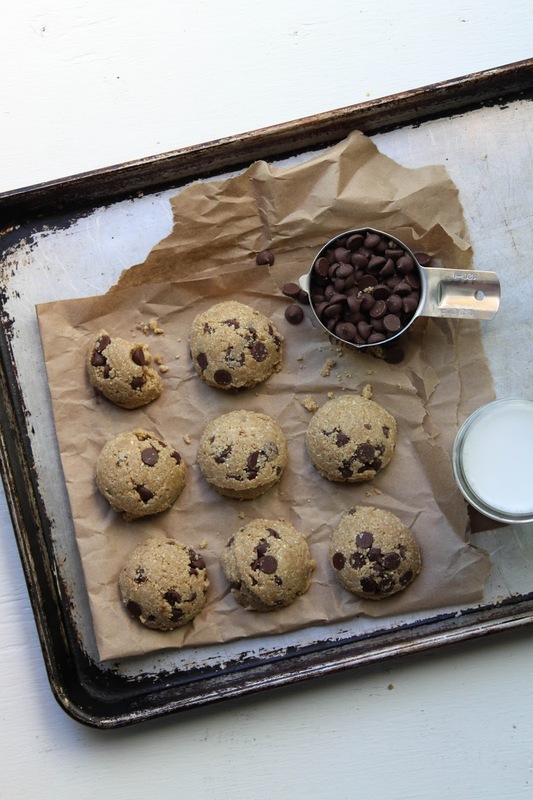 Add in the rest of the ingredients, except the chocolate chips. If it's still very crumbly and dry, add some dates, or add more water in 1 teaspoon amounts until the mix is moist and holds together when you press it with your fingers. Add the chocolate chips and mix them in evenly. If you want to gently bake the cookies, add some dates and a little more water to the mix, then bake at 200 degrees (or use a dehydrator) for 30 minutes or until they get crunchy on the outside. This is nice because you end up with warm cookies. I used an ice cream scoop to portion out nine big cookies, but you can do whatever you want. Serve with cold non-dairy milk and enjoy! Hi - usually it is suggested to rinse quinoa prior to cooking so I was wondering how you cleaned it prior to grinding into flour? Thanks! I wonder if you can use cashew flour in place of quinoa because of the bitterness? Oh I'm home for spring break tomorrow and I am so going to make these! They sound simple and delicious! although I'm not gonna lie - the first thing that caught my eye was that the cookies are smiling! In the first picture, the cookie on the bottom left (that later got a bite taken out of it) has a happy face with a chocolate nose:) I love it! What could I use instead of buchwheat? I can't eat that... Thanks! Ooooh! Putting these on cookie list. 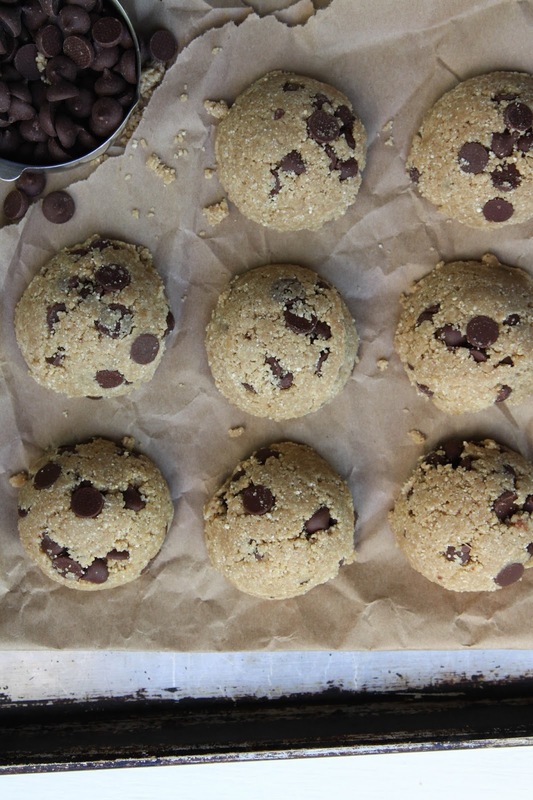 I like a quick cookie filled with whole grain goodness! Do you need to soak and dehydrate the buckwheat before making it into flour? Or can you use it as is? You can totally use the full size twister as well! This jar gives you a little more room to work with and for the ingredients to bump around! Hope this is helpful! Can I use regular oats instead of buckwheat groats? Thanks Emily, these look delicious!! 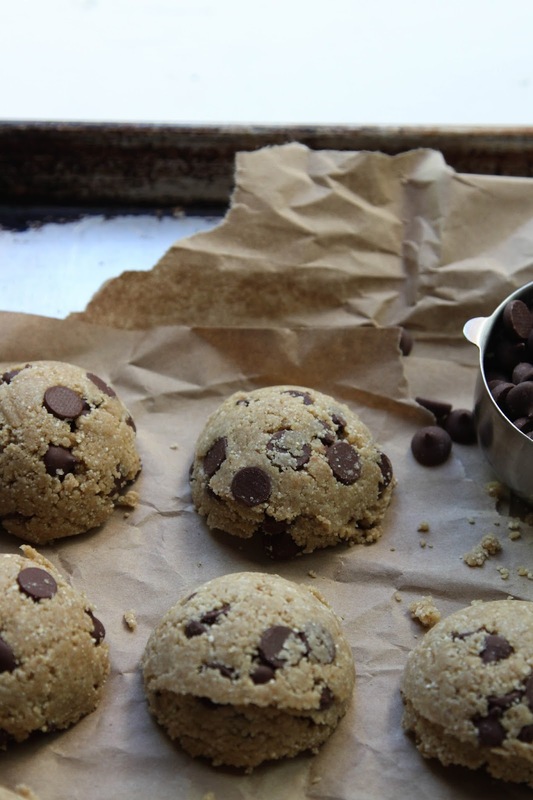 I've never made cookies in my Vitamix but I am totally going to try with this recipe. High fives, woman! They look so damn scrumptious.